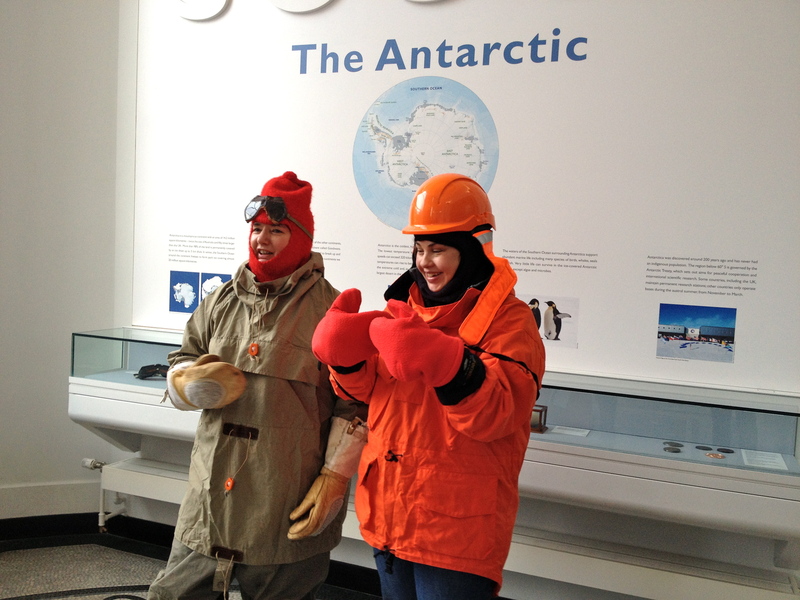 Last week, SPRI (the Scott Polar Research Institute here in Cambridge) hosted a day for creative writers. Our poet in residence through the Thresholds scheme, Jo Shapcott, invited some of her MA students and colleagues from Royal Holloway (plus the recently T. S. Eliot Prize nominated poet, Sean Borodale) to come and explore the museum and talk to the staff and students based here. The aim of the day was to bridge the gap between science and fiction, to see how one can inform the other and just how reciprocal the relationship can be. 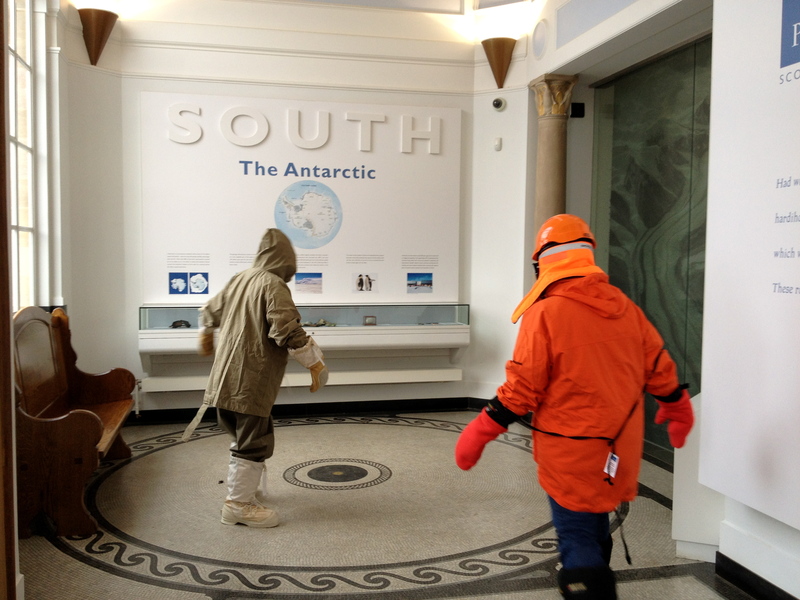 There were a series of mini lectures ranging from the effects of climate change in the Arctic to a particularly poetic video collage of the colour spectrum of ice to the exploration of and fascination with the poles in literature… and more. The day was informative, rewarding and surprisingly playful (experiments involving slime, ketchup and some impromptu bell ringing). I felt exhausted, yet excited by the end. I have been writing in the library at SPRI for several months now and I hadn’t realised how fascinating, approachable and indeed human these scientists are who I pass in the hallways everyday. I had a notion that their currency was mostly fact where mine is mostly feeling; I thought it unlikely we’d find common ground. How wrong was I? I am closer to the beginning than the end of my second collection Call Her Alaska, (a contemporary re-imagining of The Snow Queen). I’m excited and terrified in equal measure. Research is going well, my notebook is filling, the first 30 poems are outlined. I’m lucky to be able to work with SPRI, to have a desk in the institute library and access to archives, maps (I spent most of January down in the map room researching Gerda’s route to the north pole). I haven’t quite hit my stride. I’m full of doubt and worry. The last thing I wanted, but perhaps the best thing that could have happened, was to have one of my poetry idols turn up and take the desk opposite mine. Talk about intimidating. It’s easy to be overwhelmed, in awe. But apparently the uncertainty, the worry, the fear of never writing a decent poem again isn’t exclusive to poets writing their second collection. … oh, and the third piece of Jo Shapcott advice? Never leave the house without checking www.raintoday.co.uk.